Trump was a powerful sire that consistently added bone, thickness, rib, and muscle. 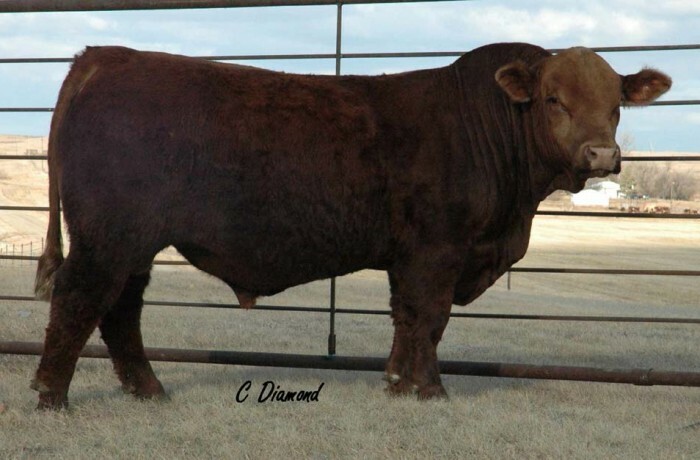 His easy moving stride and perfect dark feet made him great bull to evaluate in person. His sons were a highlight for the commercial producers and there are many daughters in production here. Two sons are in registered herds, one being the CDI Authority bull that Bichler Simmentals and Bouchard Livestock are promoting.